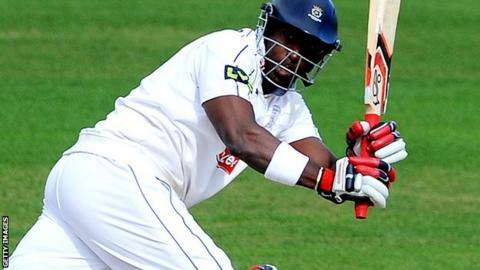 Hampshire's Michael Carberry believes the county's youngsters need to step up next season if they are to compete in County Championship Division One. The opener was named the county's batsman of the year after scoring more than 1,000 Championship runs. Hampshire avoided relegation by just two points after winning three of their last five championship matches. "Making the right decisions is a key thing we're going to have to do in this division," he told BBC Radio Solent. "Our younger players playing that key innings or bowling that key spell is going to be crucial otherwise we're going to find ourselves on the losing end," Carberry added. The 35-year-old played every game of Hampshire's Division One campaign, scoring 1,129 runs at an average of 38.93. Despite being the only Hampshire batsmen to pass 1,000 runs during 2015, the left-hander failed to score a century. "It was a combination of some daft shots, some good balls and me always looking to play my shots," he said. "But, I don't get too flustered about things. I've played for a long time and it's not the first season I've gone without scoring a century. "They tend to come along like London buses."